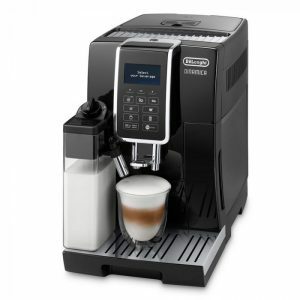 The De’Longhi EC 251.W is a semi-automatic coffee maker that will add style to any home. 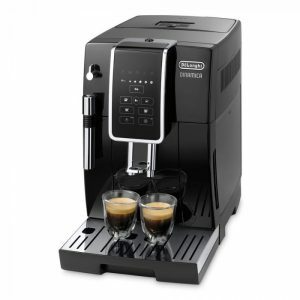 Whether you prefer to use pods or ground coffee, this De’Longhi ECP espresso machine offers users those options as standard. 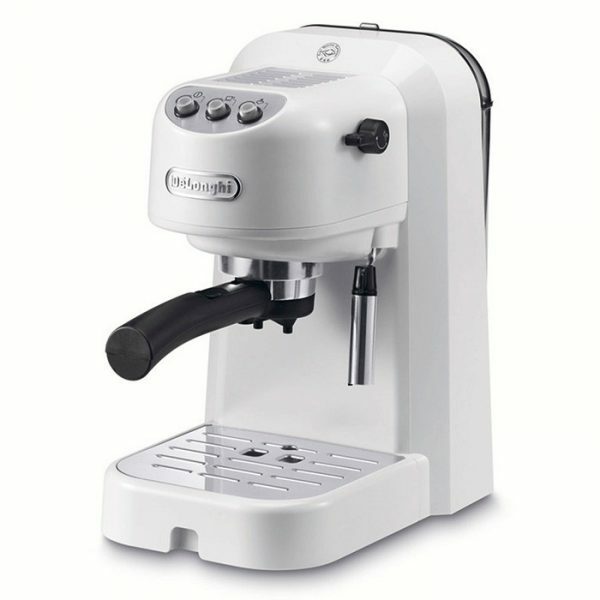 The De’Longhi EC 251.W features a professional standard 15 bar water pressure that guarantees a perfect espresso with excellent crema each time. 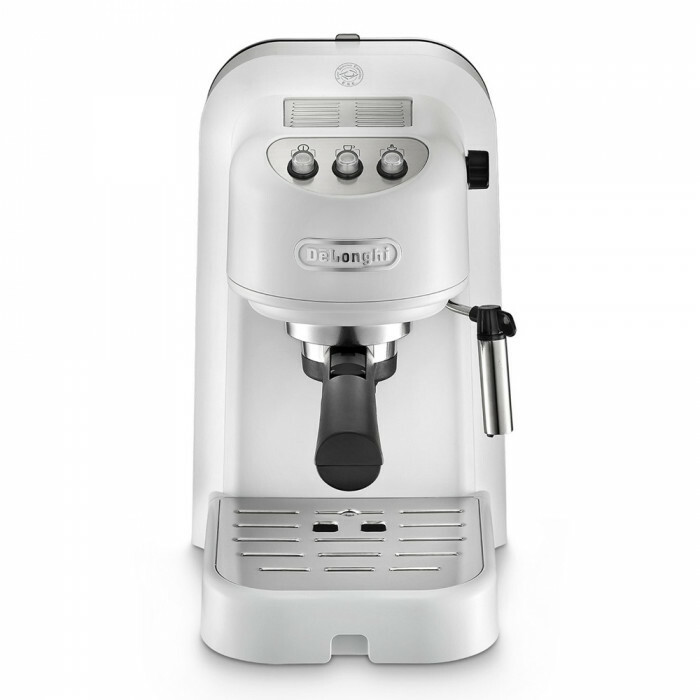 And if you prefer a latte, cappuccino or macchiato to an espresso, the high-quality metallic milk frother produces the ideal rich, thick and creamy frothed milk you need. 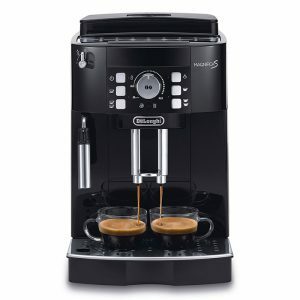 For milky coffee lovers in a hurry, this espresso machine boasts a stainless steel boiler with separate thermostats for water and steam. 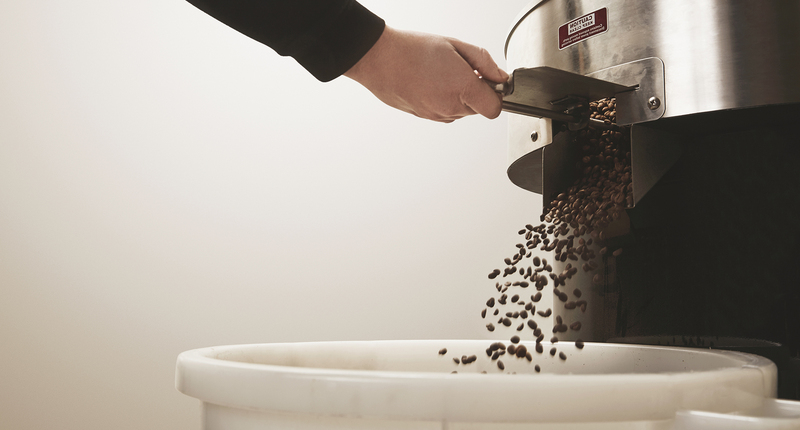 This means there’s almost no waiting time before you’re frothing your milk. 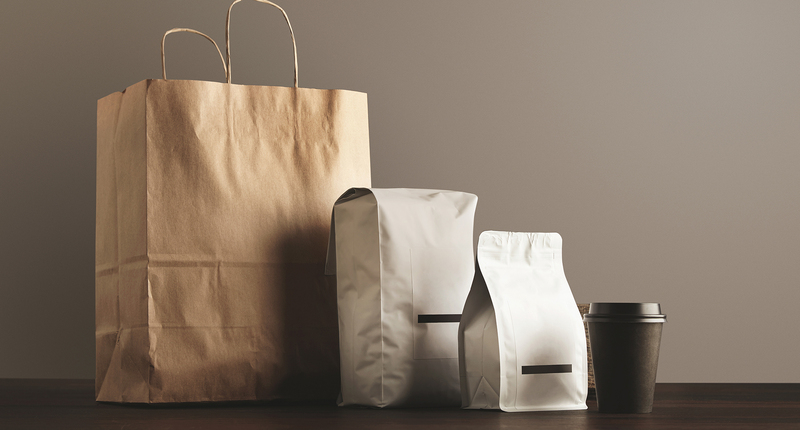 If the preset programmes aren’t to your taste, then you can manually set your preferences to adjust the strength to suit your preferences. 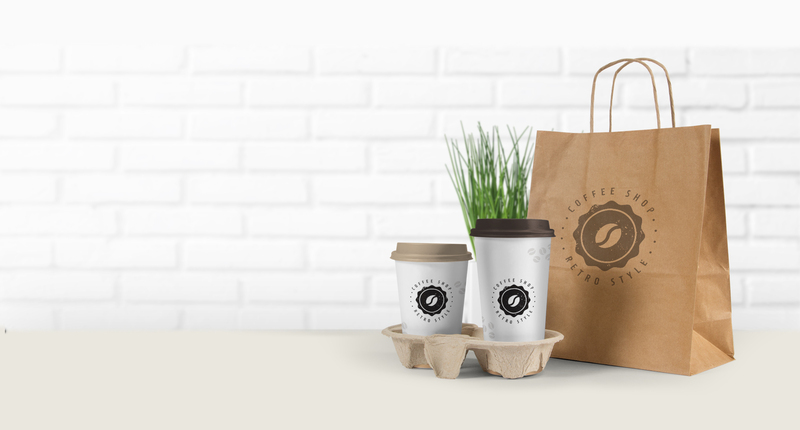 Share a home with another coffee lover or just want a double shot? 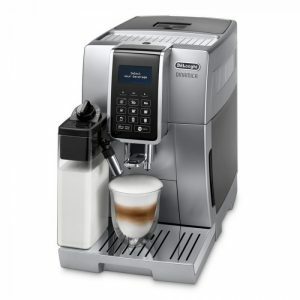 Then this De’Longhi EX 25.1 can produce two cups of espresso at the same time for speedy delivery.